Cushman Wakefield Galway are delighted to bring to the market Cuirt na hAbhann, Liosban Business Park Galway which comprises of a modern residential development and three commercial units. The development occupies a prominent position in Liosban Business close to the junction with Terryland Shopping Centre and approximately 2.5km to the northeast of the City Centre. Cushman Wakefield are offering the sale of 42 apartments, 18 of which are one bedroom units, 24 are two bedroom units, three ground floor commercial units and secured gated basement car parking. 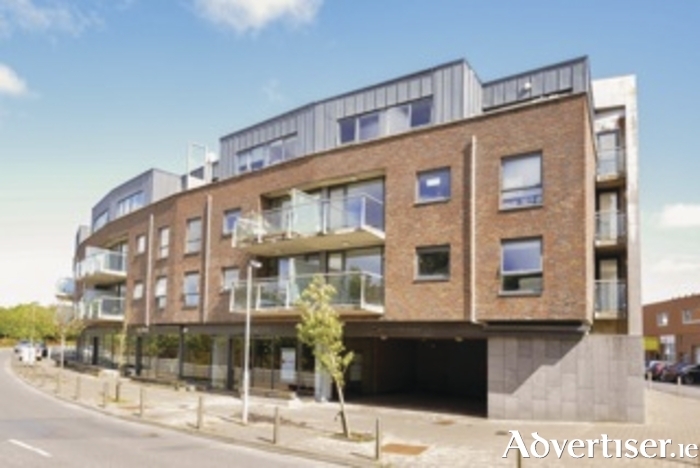 Given its proximity to NUIG, University Hospital, Parkmore Business Campus and the City Centre, this is a strong letting location and there is significant potential to increase income. The guide price for the Cuirt na hAbhann Development is €5 million, which equates to a gross yield of 8.5% (before costs ) based on the current passing rent. Patricia Staunton Cushman Wakefield expects good interest given the strong demand for residential rental accommodation in the Galway Market which should allow for rental growth coupled with the attractive lot size & quantum of units.